Last week, one of my friends tweeted that she had tried sashimi for the first time, or “the raw stuff” as she called it. Following her request, I checked on her later, and she admitted, “it was pretty good.” I was proud of her for trying something new. She asked me if I ate, “the raw stuff”? Indeed I do. I’ve been eating sushi since I was about 10. Back then, I liked masago on my sushi for the same reason I like potato chips on my sandwich, they add a little extra crunch and saltiness. I don’t think at that age, I really dwelled on the fact that those little red things were actually tiny fish eggs. Even with some of my adventurous eating habits, there are still many things I’ve never tried, that I turn my nose up at without having an actual legitimate reason. Recently, I was at my favorite taco spot in Las Vegas, Tacos El Gordo. In additional to your basics like carne asada, you can also find tacos de lengua a.k.a. tongue tacos. One day, my co-worker and I happened to catch one of the cooks at Tacos El Gordo, picking up a whole cow tongue and placing it in the pot to cook. The image brought me back to an episode of The Cosby Show where Cliff makes cow’s tongue soup. At one point, he lifts the whole cow’s tongue up out the pot. I remember Theo saying, “I don’t want to taste anything that can taste me.” This has always been my philosophy with regards to tongue. One of the guys who works at Tacos El Gordo, overheard my conversation about my feelings toward tongue. Instead of getting offended, he offered me a little taste. I accepted. On a small tortilla with diced onions, cilantro, salsa and a few squirts of lime, was my cow tongue. Somewhere between not wanting to seem scared of a little piece of shredded meat, and not wanting to be rude, I pulled off a little piece of the cow tongue sitting on the tortilla in front of me. I mean, all it was was a little piece of meat right? Drumroll… I liked it. It was quite tender, nothing like what I expected. 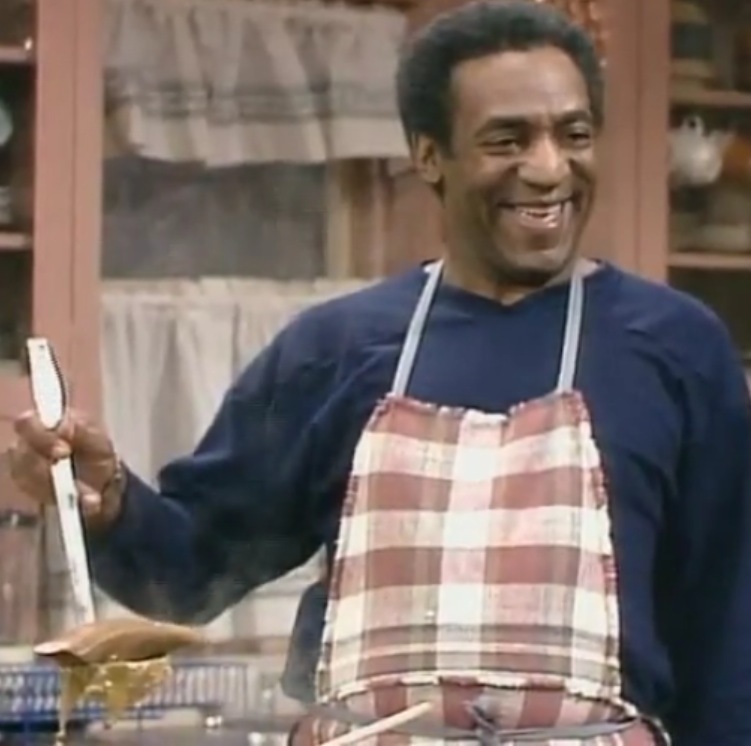 Going back to that episode of The Cosby Show, I think I envisioned cow tongue being some solid muscular hunk of meat that might come alive in my mouth and lick me back. In reality it was a tender and flavorful, and if no one told me it was cow tongue, I wouldn’t have thought twice before eating it. I find that American’s are very pretentious when it comes to food. We turn our noses up at anything that people in other cultures eat that deviates from what we consider the norm. Serve a fish with the head still on, or something like cow tongue, and we freak out. And for no legitimate reason. While you don’t have to become the next Andrew Zimmern, and start eating scorpions or drinking cobra blood, I am asking that you to take Satindoll’s and my lead and try something new, you just might like it! This entry was posted in My Ramblings and tagged Andrew Zimmern, cow tongue, eggs, sashimi, sushi, tacos, tacos de lengua, Tacos El Gordo by greedygirlinlv. Bookmark the permalink. The next time you’re in Las Vegas tacos on me! Muchas Gracias for sharing this wonderful treat.